The way you think holds the key to all that you desire and The Bright Future Workbook can help you make a habit of thinking in a way that creates exactly what you want. The Bright Future Workbook has been developed to guide you through using the most powerful tools for abundance creation every single day. You may have read books like The Secret, been to the seminars on the law-of-attraction, and studied many other modalities, but it just isn't happening for you. And even if you haven't done the studying and the searching as many of us had, you can still learn how to create the life you want using this workbook as your guide. Success becomes so fun and easy you'll wonder how you ever did without it! 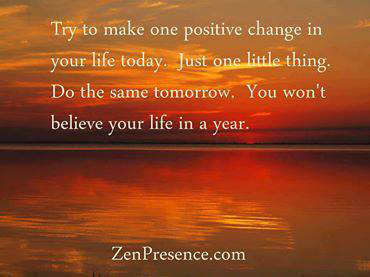 Use it everyday and watch magical things start to happen. With each day that you use this workbook, your manifestation abilities will grow stronger and stronger and you'll actually look forward to your creation time! In order to become proficient in anything, you must practice! The Bright Future Workbook guides you through what you must do for a few minutes everyday in order to get good at manifesting all that you desire! Imagine... a few minutes a day is all it takes turn on the abundance magnet in your brain! Watch your dreams unfold before your eyes! The possibilities are endless… whether you want more money, a better job, to start your own business, to be in a fulfilling relationship, to lose weight, to have more energy, enjoy perfect health, look and feel younger, or have total peace of mind, this workbook will help you to achieve every single thing you want. And you will absolutely LOVE the process and the techniques you'll learn to make your life SO much easier! This workbook includes little known about techniques that will make a huge difference in how quickly you manifest what you want. You will be floored by the simplicity and effectiveness of these techniques. You're going to be able to start making SIGNIFICANT changes in your life IMMEDIATELY! Download yours today and take your first step to having everything you want in life!! Get started immediately. 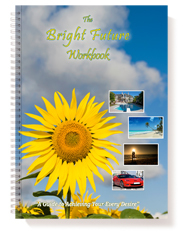 With this downloadable PDF, you can print the workbook as often as you like. You may even complete the fields in the form first and then print one page or the entire workbook. Organize your pages in a binder or folder for your convenience. As part of Consciousness 101, an online course in using the formula to develop a deeper state of conscious awareness, you'll have access to any updates, additional material, and helpful articles on that site. It also comes with all of the bonuses mentioned below and more!